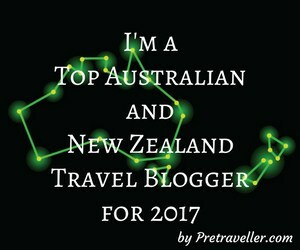 This is a guest post by Matt Picken who write's Tantrum Travels. Today he is sharing his top tips on travelling to Hawaii with toddlers. Aussie families tend to pick locations close to home like Bali and Fiji when they think about taking their kids on a ‘beach’ holiday, but more and more Hawaii is popping up as a location of choice. The idea of flying 10 hours with toddlers however can be a little off-putting. I am here though to say we did it, and it was worth it. 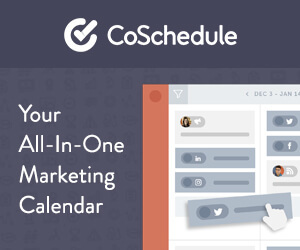 This post contains affiliate links*. This means I may receive a small commission if you click on these links, but at NO extra cost to you. DO arrange a VISA or a use the VISA WAVER PROGRAM (https://esta.cbp.dhs.gov/esta/) well in advance to your flight. Also ensure you have your return ticket printed before you leave. DON’T expect to get through customs very fast. Remember you are entering America, so expect to be finger printed, including your little toddlers paws. DO pack [easyazon_link identifier=”B076B4Z148″ locale=”US” tag=”allyann232-20″]swim nappies[/easyazon_link] and two sets of swimmers for your toddler. They will constantly be wet, so make sure you have a spare set for the next round of water activities while the first pair is drying. Also remember to pack hats, sunscreen and water. (A complete swimming packing list is HERE). DON’T expect to save hundreds of dollars at the shops. Things aren’t that much cheaper than Australia, and with a toddler in tow you always end up buying more things than you intended. DO visit Pearl Harbor, but consider limiting your visit to the USS Arizona Memorial with active kids. DON’T be surprised to see people selling guns on the street. DO take a ride on the Waikiki Trolley bus, and if you are super organised, book your tickets online to save money and get free entry to the Honolulu Aquarium. DON’T be surprised by the heavy Japanese influences and numerous Japanese tourists. Local Japanese are the second largest ethnic group in Hawaii. Your toddler may get some rock-star like attention. DO go out for dinner, restaurants in Hawaii are extremely child-friendly, with kid’s menus and activities. DON’T forget to slow down, enjoy a sunset and some walks on the beach. DON’T feel like this means you have to hire a car, there are trolley bus rides that can do this. DO get out of the city and see some of the beautiful coastline. Hawaii is a great destination for young children. It may seem a lot further away than Bali or Fiji, but once you have got to the airport, been through security and boarded the plane, an extra couple of hours is not that much work and definitely worth it! Or is it now on your bucket list? 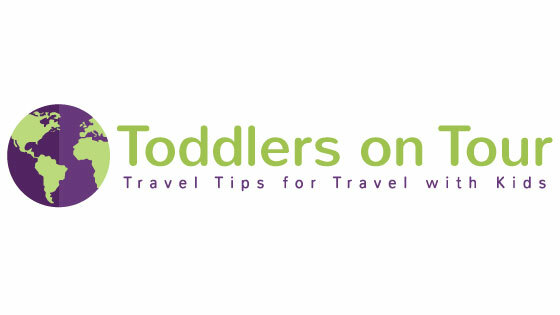 If you would like to write a guest post for Toddlers on Tour sharing your experiences, photos and tips for travel with kids in your favourite destination please send me an email at toddlersontour@gmail.com or go to my Contact Page. Matt is a full time dad to two boys under 2.5 years old. Having travelled extensively in the last couple of years with young children, Matt wants to share what he has learned, how to make things easier and most importantly, that it is possible. Thanks for the shout out Sally, Hawaii was a fantastic place to visit. I hope this post inspires some more families to travel the extra few hours and have a look. I’m sure it will Matt, thank you for writing the article. Yes indeed, Hawaii is now on my bucket list! It’s on mine too Nicola. I have been eyeing of Hawaii for a while, they have great family resorts. The sticking point is the distance from Perth for me as well Cathy, so it was great that Matt could introduce it for me. I hadn’t realised it was so long from the UK. In Australia we always think how lucky you are being able to ‘pop’ over to mainland Europe for a weekend. just to make you feel better Sabrina, I am on the West Coast so tack on 5 more hours to get to Sydney first. OMG at the man selling guns on the street! Some fantastic tips to prepare people who are visiting with little ones – hopefully we’ll visit one day! I have only heard good things about Hawaii Lydia, it looks great. The article is spot on. If you want to save on food, I recommend you try one of the Asian establishments around town. You can find big plates of food for about $10. The International Market Place in Waikiki also sells cheap and good food. The food in the Farmer’s Market is good too. 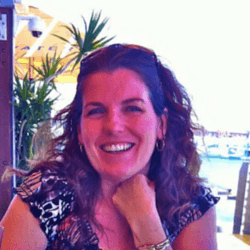 Great tips for eating out cheap Ruth – thank you for sharing. I love to help people realise that once you have kids the adventure doesn’t have to stop, and happy to introduce a fellow family travel blogger who feels the same. Yes!!! Thank you Sally-Ann. I’m amazed at how many people discourage it! I agree that more and more Aussie families are visiting Hawaii, and it’s actually on our family bucket list. I fell in love with the idea of visiting Hawaii after watching the movie The Descendants (starring George Clooney). I’d love to get away from the tourist attractions and really explore the islands. Thanks for the inspiration! I think Natalie, as Australians we love to explore new places, and whilst Hawaii may not be new for those in the US it is a relatively unexplored state for Australians who love an adventure. Im really wanting to go on holiday now! when i think of Hawaii for a beach vacation I really think of the other islands, but it seems like there is plenty of beach on this island and other things to do too! I think if you choose a destination purely as a beach destination, you can find somewhere way closer to home Eileen. 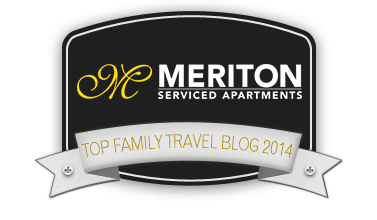 For me when choosing a destination for our family holiday it is also about what else we would like to explore. I have been to Hawaii as a solo tourist and would love to head back there as a family. Great tips! Oh so envious you have been there Karin. Thanks for all the tips ! I would be very scared to see a man selling guns in the street (especially since I’m living in the UK where the gun culture is not as big as in the US for example). I live in Australia and I think our culture is similar to your’s Gin, I think anything that is not what we are use to is confronting. The joy of travel. Great tips when traveling to Hawaii with toddlers!